You'll be in seventh heaven with this set of 11 interchangeable drops and hoop earrings set from Mattioli's Puzzle collection! Crafted in 18K yellow gold, an assortment of mixed Mother-of-Pearl and onyx trapezoid shapes allow you to wear many of the colors of the rainbow, along with several basic neutrals, interchangeably. 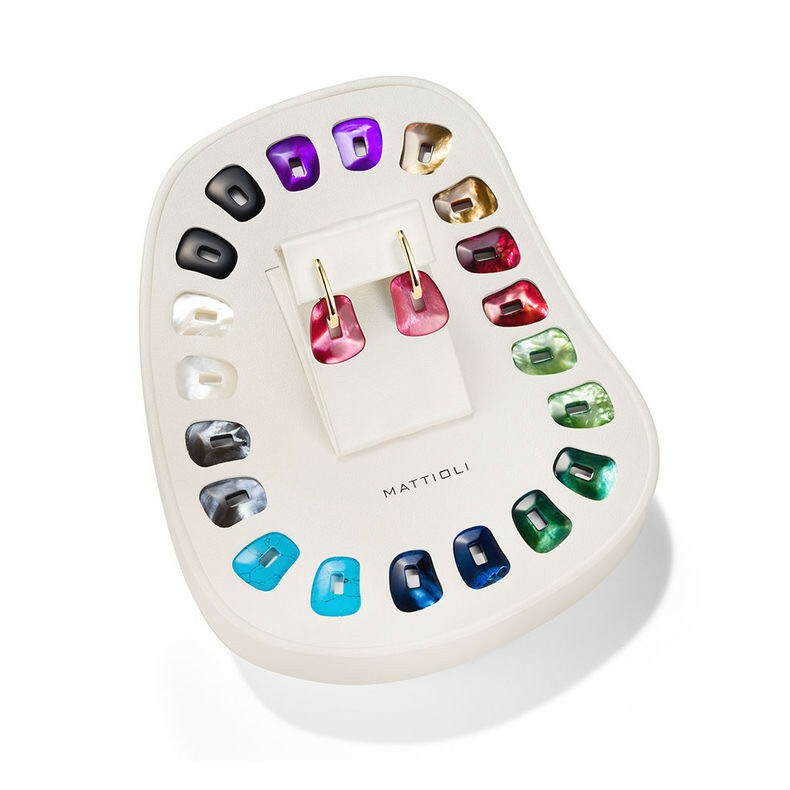 This earrings set from Italian jewelry designer Mattioli, lets you showcase your love of color like an abstract artist.